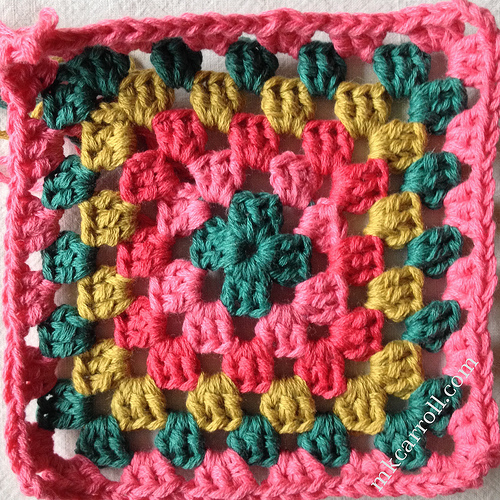 My Holiday Sanity plan: crochet granny squares, ideally during my city bus commute, while listening to podcasts. Yarn is Brown Sheep Cotton Fleece, which I've been building quite a stash of over the past couple of years (YarnStory in Honolulu has an ever-changing array of colors). My yarn acquisition habit has been to buy single skeins and only occasionally quantities for projects larger than a hat. In this case, that works just fine. I did buy an additional 3 skeins of white for another granny square blanket (and I'll post progress on that later), and had enough left over so that I split one of the skeins into 3 smaller skeins, and used them for dye experiments that I think could work with these colors (will also post progress on that later). This is a nice soothing project for me, just the ticket while I'm on the city bus on my way to or from work. It's simple enough so I can pay attention to a podcast. CraftLit is currently doing Age of Innocence, which I haaaaated the first time I read it. I was a teenager, I thought all the characters were horrible people, and I wanted to kick every single one of them in the shins. 20-ish years later, I'm glad I gave it another go. Heather Ordover really knows how to enrich the experience with background information and Literary Links of Interest that explain things like Parma violets and camphor, and Brenda Dayne is a sublime reader (you really can hear it when she arches an eyebrow sardonically). Waistcoat, French. circa 1770 - 90, cotton fabric (India?). In the collection of the Metropolitan Museum of Art. The shades of green and gold, with the pink, red, and blues - reminds me of my childhood (my parents had some very bohemian/hippie friends who had traveled/lived in India, Turkey, Tibet, etc. and Mom did a lot of traveling in Asia and the Middle East during the 60's). Recently, I moved some furniture I had stored at my parents house into where I'm living now, and that includes a rattan loveseat with a riotous mix of pillows in stripes, paisley, ikat (-ish - I don't think it's a genuine ikat weave), and embroidered fabrics. 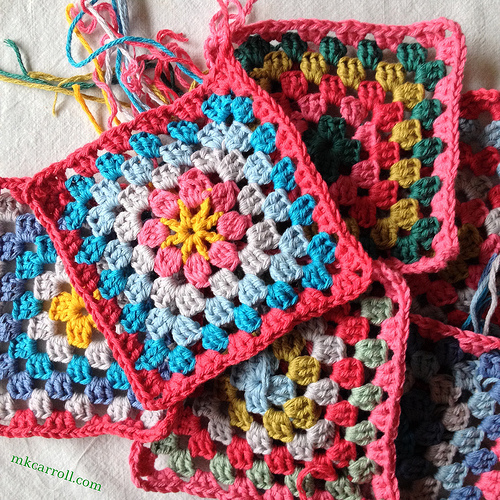 This scrapghan might fit right in.